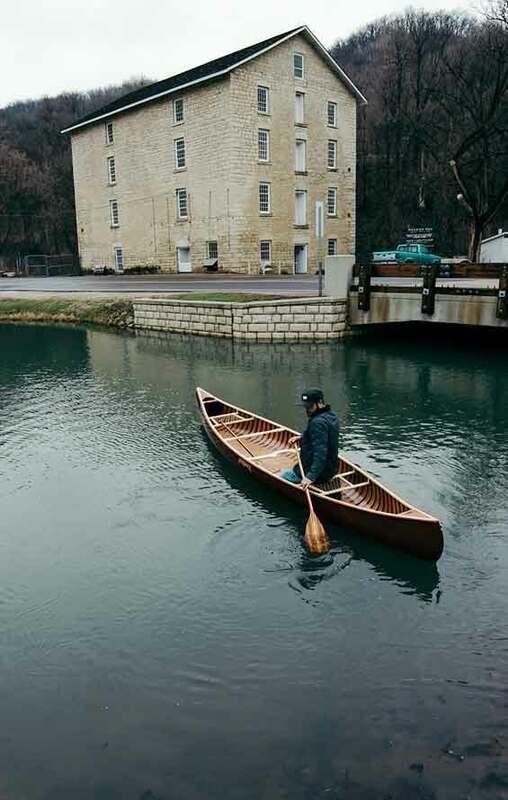 A classic, made-in-USA canoe company is getting a new owner and a new home base in an old town along the Mississippi River. 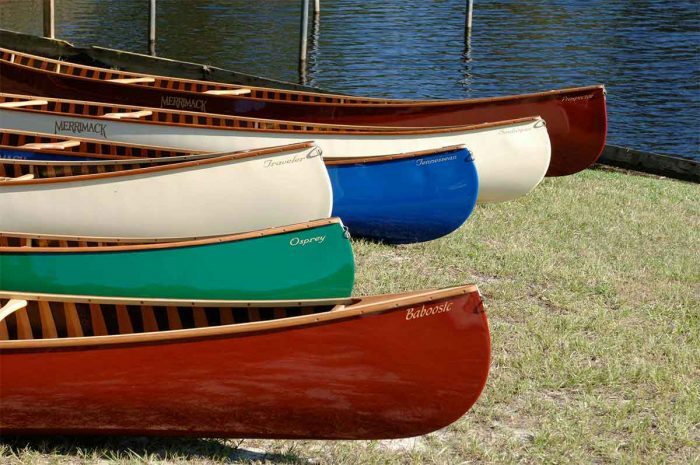 Founded in 1954, Merrimack Canoe Co. is one of the oldest boat-builders in the paddling industry. The company, launched originally in New Hampshire by L.H. Beach, pioneered a wood-reinforced fiberglass canoe construction that endures to this day. 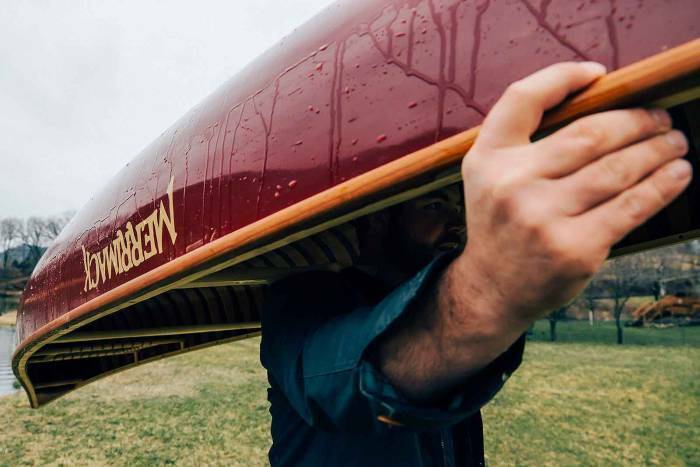 The news this week is out of Minnesota, where a growing canoe-paddle company, Sanborn Canoe Co., has acquired Merrimack. The operation is moving, now from South Carolina to a small town in Minnesota called Winona, where huge bluffs tumble into the Mississippi River. 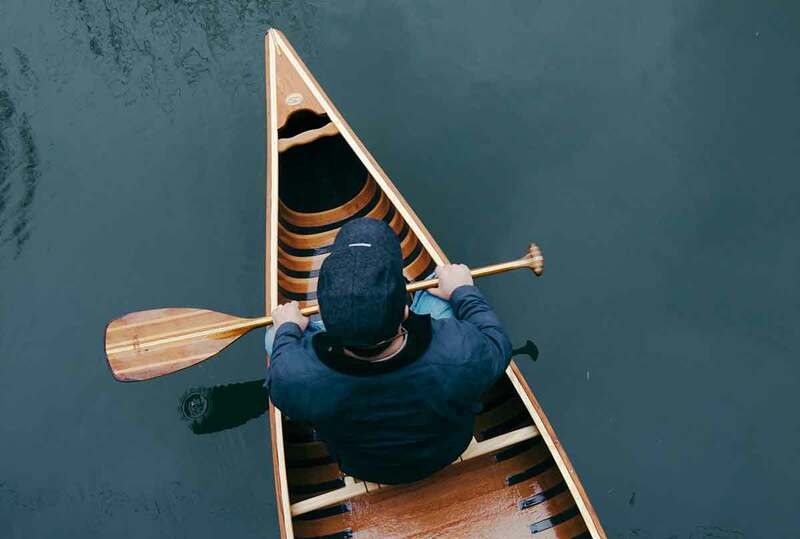 Sanborn, which makes high-quality wooden canoe paddles, is obviously a category fit, as well as aesthetic one, for the Merrimack brand. The canoes have hulls built with a layup of fiberglass, Kevlar, or carbon fiber. Then, wood ribs running the full length of the hull are added. The thin wood ribs give the canoes stiffness, though with the weight savings and added durability of composite material in the main hull. The result is a handmade, old-school boat, trimmed out with wood gunnels, seats, decks, and thwarts. A brass medallion is inserted on the front deck. Sanborn, which was founded in 2009, launched a fundraising campaign on Kickstarter to help re-establish Merrimack at its Minnesota base. The raised funds will be used to get the canoe forms, templates, and equipment out of storage and into production mode. Paddlers can purchase a revived Merrimack canoe on the fundraising page. The boats start at about $2,500 and will be delivered in a first batch by September 2016. It’s a premium price, but these good-looking boats can last a lifetime if treated right.